​​​​​Free Betting Tips Published Every Day On Every Tip! EveryTip publishes free betting tips daily, for horse racing, greyhound racing, football, cricket, tennis, golf, darts, snooker and rugby. You'll find all of the best predictions, from the top tipsters. Daily UK horse racing picks are provided by Templegate, Sam Turner (Channel 4) and Greg Wood, while Marlborough provides further selections on Monday, Tuesday, Wednesday, Thursday, Friday and Saturday. On Saturday's we also provide further tips for Scoop6 races and all fixtures shown live on ITV Racing. Seymour Biz also gives us his best Saturday horse racing tips each week. EveryTip offers the widest range of overseas racing tips that can be found online. We provide predictions for every race in Ireland, South Africa, Mauritius, Hong Kong, Singapore, Macau, Dubai and India. That's why we also have a huge following in Asia and Africa, as well as being among the leading free tipster sites in Europe. Our football correct score tips page is also incredibly popular. We cover all of the top league games in England, Scotland, Italy, Spain, Germany, France, plus many African countries such as Kenya, Nigeria, Egypt, Senegal, Ivory Coast and South Africa. This page is updated every day. John Newsome also provides his English Premier League predictions for Saturday every weekend. Thousands of punters also check out our cricket tips page, on a daily basis. We offer tips with advised odds for games in the UK and India, plus other matches in Australia, Pakistan, Sri Lanka, New Zealand, etc. If you like betting on the dogs, you will love our greyhound tips page. 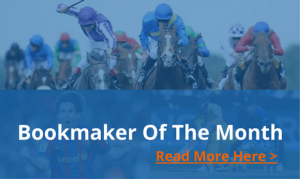 We provide daily 1-2-3 predictions for every race in the UK - perfect for win-only, Exacta and Trifecta betting. Golf, rugby, snooker, tennis and darts tips are updated each weekend. When you combine all of these sports, you'll find that EveryTip is publishing several thousand great betting tips, each week. However, there is much more to EveryTip than just free betting tips. We provide reviews of all of the top bookmakers, along with the links you need to secure the biggest sign-up bonuses and special offers. Check out this Bet365 bonus code to get your betting bank off to a great start or read our Bet365 bet credits explained guide. We also provide reviews of the very best ratings systems and subscription tips services, for those of you that are ready to go pro. You can also see our recommended best horse racing betting sites or best cricket betting sites along with bookmakers that accept paypal. For casino fans, you can find out the best casino sites that accept paypal here too. That's why EveryTip is the fastest-growing sports-betting site in the world right now. Make sure you add us to your bookmarks and share with your friends on social media! New customers offer. Place 5 x €/£10 or more bets to receive €/£20 in free bets. Repeat up to 5 times to receive maximum €/£100 bonus. Min odds 1/2 (1.5). Exchange bets excluded. 18+|Gamble Aware. Which Bookies Are Paying 5 Places Each Way?